Following a hugely successful opening run in early April at National Opera House,Wexford. 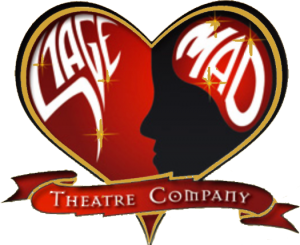 Stagemads production received rave reviews and standing ovations every night. The Howie Lee gets dragged into a bizarre feud of honour involving a scabies-infested mattress against the Rookie Lee, which spirals out of control and ends in his own personal tragedy. The Rookie has problems of his own; Massively in debt to a terrifying gangland figure for killing his prized Siamese fighting fish, he steels himself for a hideous revenge until he is championed from an unlikely quarter by his onetime enemy. Howie The Rookie is a white-knuckle ride through a nightmare Dublin, where enemies and allies are interchangeable, where most brutal events take on mystic significance. Featuring Fintan Kelly who will be seen in season 8 of “Game Of Thrones” And “Krypton”, a new series starting soon on CBS.